Want to Eat a Heavy Psych Meal ? How about that ? Did I whet your appetite ? If yes, then you only have thing left to do : Check out this mindblowing EP ! Why is this album worth listening ? The mighty combo Delay-Reverb-Wah-Wah is still so pleasant to hear, and Robin the guitarist just nails it ! Clément’s bass lines are thick and rumbling with that fuzzy sound ! Leo also does a wonderful job behind his drums, varying rhythms from big fat ones to complex ones, full of excellent drum fills, just what you need to never get bored, but on the contrary always be waiting on what will be coming next ! In what situation you should listen to this album ? 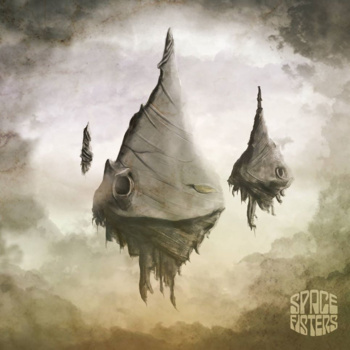 Comfortably sitting in the Space Fisters’ restaurant. Yes these weird floating mountains are in fact restaurants serving Heavy Psych Jams !!! HELL YEAH ! 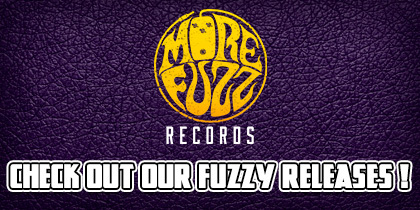 The guys of Space Fisters accepted to do a Fuzzy Giveaway with More Fuzz ! They are kindly offering a Limited Edition Purple Vinyl of this release I just reviewed & 1 gorgeous T-Shirt ! How cool is that ? !